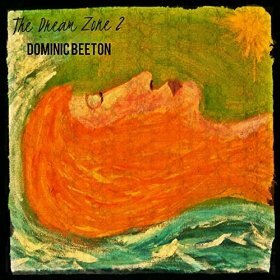 This is the second Dream Zone album following on from the success of the first album. Dominic Beeton has been composing beautiful relaxing meditative music for the last 35 years. All tracks are composed, performed and recorded by Dominic Beeton. Dominic has been writing music for television, film and new media for over 20 years with credits on BBC1, BBC2, ITV1, C5, and Sky. It is easy to see why film and TV directors love this music which sets a perfect backdrop for visual images. The music is designed for deep relaxation, healing and most of all meditation. All of these tracks have been used on the guided meditations created for the www.meditatia.com web site. These are all without the words and so enabling you to use them for your own guided meditations or reiki healing or just to chill after a hard day's work. Enjoy this deeply inspirational album. Click here to download or preview the tracks on the album. The album is also available on iTunes, Amazon, Google Play, Spotify, YouTube, Deezer, Tidal and many other digital platforms.